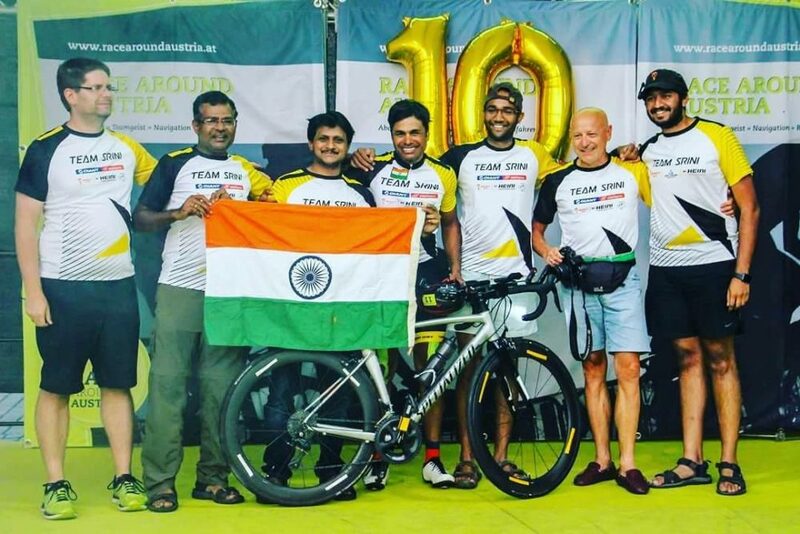 Ultra cyclist Col. Dr Srinivas Gokulnath has become the first Indian to participate in the Race Around Austria, one of the toughest cycling races across the world. The Race Around Austria started on August 13 in St. Georgen im Attergau, Austria. Among the longest RAAM (Race Across All The America) qualifiers, the Race Around Austria covers 2,200 kms and has more than 30,000 m (98,400 ft.) of climbing. To put things in perspective, this is three times the height of Mount Everest. The Race Around Austria starts and completes at St. Georgen Im Attergau, northeast of Salzburg. Basically, the participant cyclists circumnavigate Austria as they pedal close to as many as eight countries – Germany, Czech Republic, Hungary, Slovakia, Slovenia, Italy, Switzerland and Liechtenstein. Last year, Col. Dr Srinivas Gokulnath also successfully finished the Race Across America 2017 in the solo category. Back then, he became the first Indian to finish Race Across America 2017 in solo category. And now, a year later, he becomes the first Indian to participate and finish Race Around Austria. Only days ago, Dr. Amit Samarth created history by successfully completing one of the World’s toughest 9100 KMs Redbull Trans Siberian Extreme Race in less than 25 days. The Trans Siberian Extreme Race starts at Moscow and finishes at Vladivostok on the Pacific coast. Col.
Dr Srinivas is the first Indian cyclist to have attempted RAAM for the second time. He finished 180 minutes before Dr Amit Samarth, who became the first Indian to finish RAAM in the first attempt.